Picture of the Day - Fall Colors Abound! I'm not certain, but I'd say that the fall colors are at their peak here on the Outer Cape, Particularly stunning are the ponds with the reflection of the leaves on the water. The photo below was taken on the Cape Cod Rail Trail (aka the bike path) in Eastham. The photo doesn't quite show how bright the colors actually are. Selling your home during the year-end holiday season can be very stressful. This year will be no exception. In addition to the seasonal stresses, we have a somewhat uncertain economy. HGTV's FrontDoor website ran an article with a few selling tips for this holiday season. Check them out... Here. 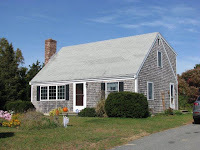 Eastham - New Listing - This 3 bedroom, 2 bath Cape is a delight to show. You'll find a clean & well maintained home with wood floors, a living room with fireplace, separate dining room, new country moldings, and an updated kitchen. The house sits on a half acre bordering 14 acres of Town land in a neighborhood of equally lovely homes. This house has new country moldings, new Anderson tilt-in thermopane windows, a 1 car detached garage and an updated 3 bedroom Title V septic system. Listed at $412,000. For photos and a Virtual Tour go to http://60quailcoverln.robertsheldon.com/. Call me for a showing at 508-237-9545. I call it our 'secret summer'. September and October have significantly diminished traffic, warmer weather, and most of the other benefits of summer on Cape Cod. But Labor Day starts the season I call 'Bus Season'. 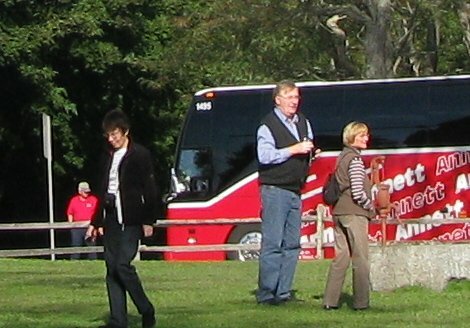 During bus season there is a steady stream on large tour buses traveling up Route 6, presumably heading for P-Town. Along the way, they stop at the Eastham windmill, the Nauset Lighthouse, and a gift shop or two. I've seen as many as 3 buses at the windmill and as many as 5 at the Red Barn Gift Shop. Certainly, the buses bring tourist dollars to our economy. To imagine 5 buses of tourists (at 50-60 per bus)inside that small gift shop boggles my mind. When the various subdivision founding fathers originally laid out the roads in Eastham, they designed for many more roads than would ever (?) actually be built. Many of these roads exist only as place-holders and don't even have names. It gets more confusing, and interesting, if the paper road acts as a buffer between one's property and the property 'next door'. Even more interesting is if the paper road has eroded away and is now the buffer between your property and Cape Cod Bay. Read the story in the Cape Cod Times. Capecast, from the Cape Cod Times, did a video of the Nauset Marsh a few days ago that highlights how beautiful the marsh really is. Check it out! You bought a foreclosed home. Good for you! I hope you got a great price, didn't invest a lot of your hard earned cash, and are not about to have your home taken away from you due to this latest wrinkle in the mortgage foreclosure mess. What happens to you if the bank didn't cross the T's and dot the I's for your home? USA Today ran an article about the mess and how it may affect you. 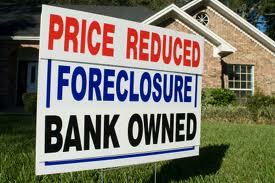 One thing is clear - title insurance sure seems like a good investment for foreclosures, doesn't it? Read the article in the USA Today... Here. My November Eastham real estate newsletter is available now. It has Eastham's results through September - my 3Q 2010 report. Also find 3 new listings, and Eastham's uncoming Turnip Festival. Eastham's sales are continuing at a good pace, with modest improvement in the median sales prices. Volume is up significantly. Go to http://newsletters.robertsheldon.com/ to download your copy. 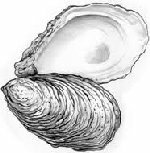 Oyster History - Who Knew? With the Wellfleet Oysterfest this weekend, the Cape Cod Times ran a piece on the history of the oyster. Did you know that oyster farming goes back to the Roman Empire? Well, read the whole story on the Cape Cod Times website...Here. 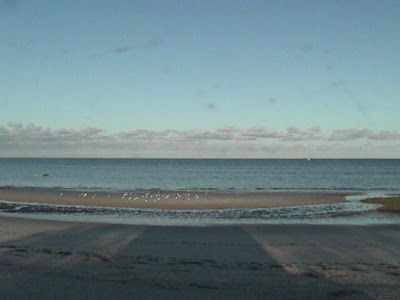 I'm a sucker for beach webcams. 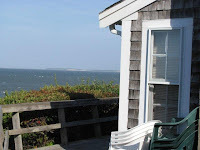 I discovered that Orleans now has one overlooking Skaket Beach, on Cape Cod Bay. 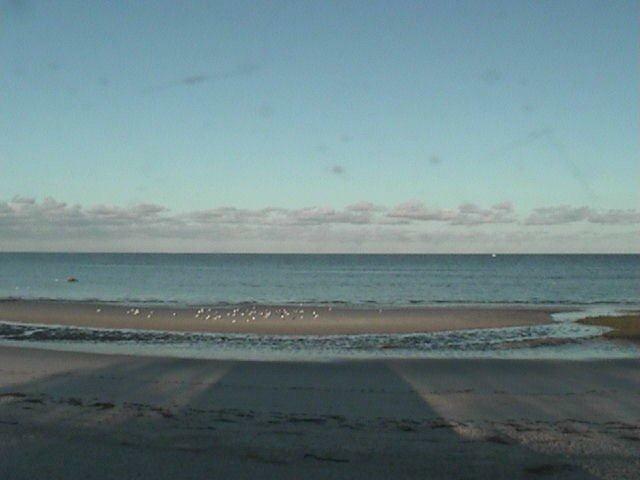 The camera image is on the same webpage as their cameras at Nauset Beach. Check them out ...Here. The image below was taken this morning. 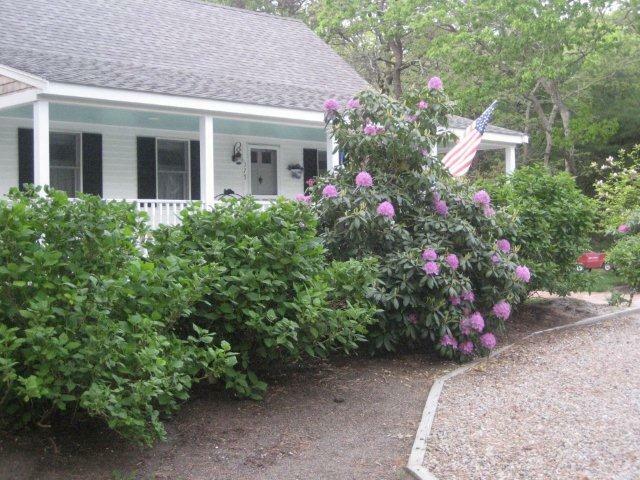 Delightful summer retreat or year round property...just 0.3 mile to Cooks Brook Beach. 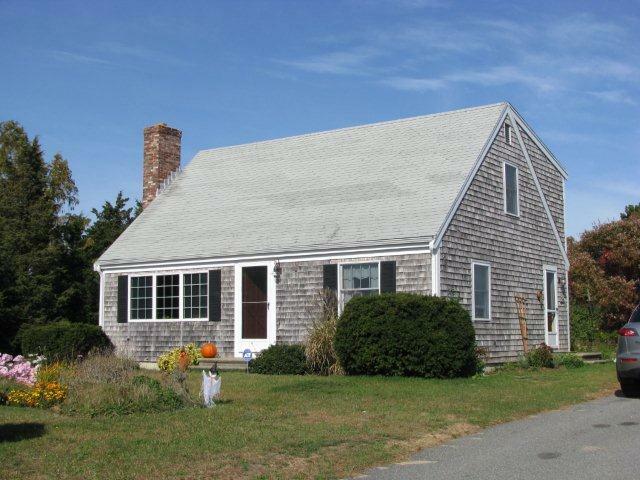 This 3 bedroom 2 bath saltbox has room for everyone. Plus additional space with its walk out basement. All appliance are included! First floor stackable washer & dryer! Large eat in kitchen boasts light oak cabinets and gleaming wood floors-2 good size bedrooms on the upper level and bright full bath with skylight. Large combination dining/living room opens to porch adorned with windows overlooking Steele Rd. This delightful property comes with a bonus adjacent lot which will add .23 of an acre to the existing property. Great house, great location, great price! Listed at $429,000. Check out this listing's photos, a Virtual Tour, and a Google map at http://325steelerd.robertsheldon.com/. Yesterday, my wife & I took a short walk. 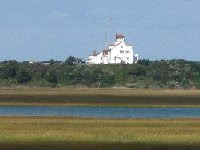 We went to Fort Hill, overlooking the Town Cove and Nauset Marsh, and took a short hike on the Fort Hill Trail. This trail descends from the hill (yes - Fort Hill is a hill!) to the marsh front then loops back around a quiet meadow before climbing back up the hill to the parking lot. I took the following photo of the backside of the Coast Guard Station at Coast Guard Beach. I found a wonderful slideshow of photos of the Outer Cape, taken this summer, by Jonathan Lurie. Check out the slideshow... Here. This exceptional 4 bedroom , 2 bath home has been significantly updated in the last few years, with a new kitchen, new floors, new landscaping, and a huge new farmer's porch. 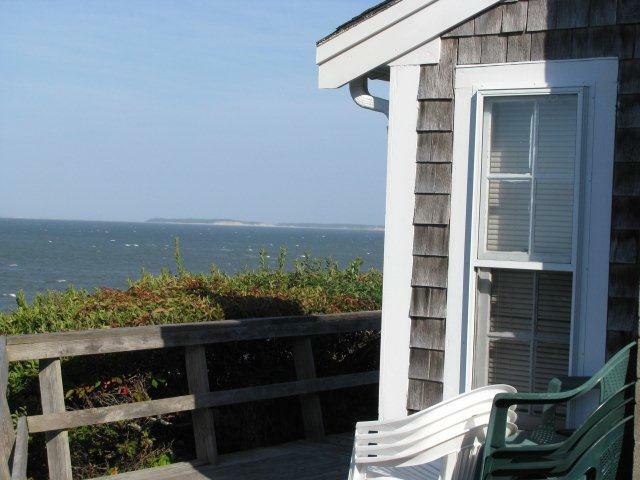 Located on a quiet street, just a few hundred feet from town and Seashore properties. Listed at $479,000. Go to http://375squantord.robertsheldon.com/ to see more photos, a map, the virtual tour, and the 'details'. 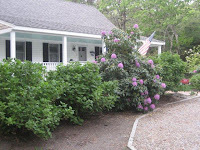 And, go to http://snapshot.robertsheldon.com/ to get an updated snapshot of the current market conditions in Eastham. This year will be the 10th annual Wellfleet OysterFest. The weekend (and the village) will be filled with fun things for the whole family to do and see. There is a 5K run, a tennis tournament, arts & crafts, an old fashioned spelling bee (both adults and kids), and the all-important oyster shucking contest (amazing!). Go to http://www.wellfleetoysterfest.org/ for more information, a schedule of events and for instructions on how to shuck an oyster. 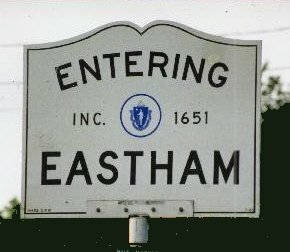 The 2011 real estate tax rate for Eastham is $5.91/thousand (up 7.3%). Check your 2011 assessment on the Town of Eastham website...Here. You can also pick up a newspaper-like copy of the town assessments at Town Hall and at quite a few commercial establishments (eg the Superette). 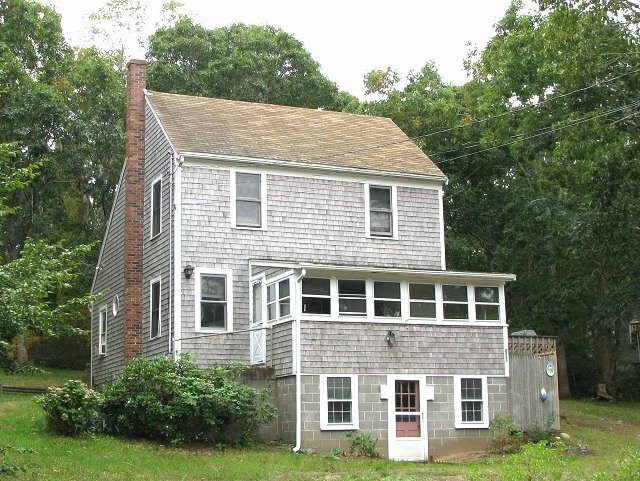 EASTHAM - New Listing - This 3 bedroom seasonal cottage sits high on the bank overlooking Cape Cod Bay, immediately adjacent to the private association stairs. This cottage has an amazing wraparound deck, a large living/dining room and 3 bedrooms. With the downstairs finished (it is! ), there is lots of room for the whole family. Perfect sunsets every day (weather permitting!). Listed at $1,350,000. Check this listing (more photos, a virtual tour, listing info, maps) can be found at http://4jeansway.robertsheldon.com/. 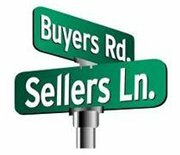 Interested in finding the market conditions (recent sales, market averages, other active listings) for Eastham? Go ..here. There were 11 closings in September (up from August) with an average sale price of $375,500, and a median of $350K. This year, September's closings totaled $4.1M. Last year's total September sales were $525K on 2 sales. There were 86 closings year-to-date (9/30/10), up 69% from 2009's 51 sales (note: single family homes). Currently, there were 104 homes for sale in Eastham, with an average list price of 594K, and a median price of $469K.